Corporate Responsibility (CR) is core to our business philosophy. Given the environmental and social considerations facing our communities and our planet, we firmly believe that sustainable and responsible operating practices not only enhance our competitiveness for the short and long term, but such practices make LIXIL a more trusted contributor to the communities in which we work and live. FY2016 was a significant year for LIXIL's progress on CR. It was the first year following the launch of both our global CR strategy and, by coincidence, the UN's Sustainable Development Goals (SDGs). We welcome the collaborative approach outlined in the SDGs between government, business and civil society and our CR strategy is well-aligned with these goals. This year, we made steady progress against the three pillars outlined in our CR strategy. On improving Global Sanitation & Hygiene, we see it as an age-old challenge whose time has come for some new thinking and new solutions. We launched a dedicated business unit within LIXIL to scale up and accelerate new product development for communities without access to safe sanitation, and expanded SATO business operations and the SATO line of products, a range of simple and innovative toilet solutions for rural communities. We are also actively engaged in advocacy to enhance awareness globally of the urgency to improve sanitation for the estimated 2.3 billion people today who lack a clean and safe toilet for daily living. On Water Conservation and Environmental Sustainability, we developed a robust global EHS management system that keeps us on track toward our goal of being "Net Zero" by 2030. To increase our environmental contribution through products, we successfully launched a variety of innovative energy-saving products globally, such as ultra-high-efficiency toilets H2Option and H2Optimum in North America and ERSTER S, the top-level insulation resin window, available in Japan. 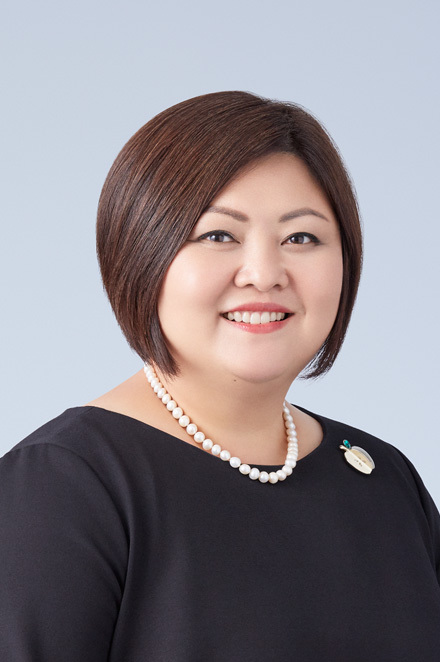 On Diversity and Inclusion, in addition to launching universal design products worldwide, we launched our first contract-based facility management business for serviced retirement homes, Premio Kawaguchi, reflecting the needs of the rapidly aging Japanese population. One year after its launch, our CR strategy influences the decisions we make and ensures that sustainable and responsible ways of operating are properly embedded within LIXIL. With a strong foundation built in FY2016, LIXIL will continue to accelerate our CR initiatives in FY2017. The LIXIL Group signed the United Nations Global Compact (UNGC) in July 2013 in full support with the principles set out in the framework. Our corporate philosophy is to contribute to improving people's comfort and lifestyles. To fulfill that aim through our operational activities, we are driving a range of R&D and various initiatives to help resolve global sanitation and hygiene problems as well as other social and environmental issues. To meet and exceed society's expectations for the LIXIL Group, we must take active leadership as a comprehensive living and housing solutions company. We will not only put the UNGC's 10 Principles into practice, but also assist the UN efforts towards achieving the Sustainable Development Goals by providing our expertise in areas of sanitation to help create a safe living space for all. 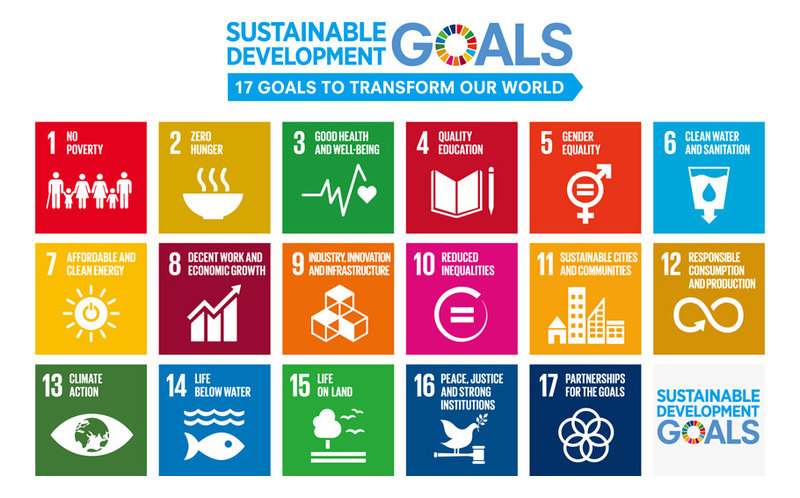 The United Nations Sustainable Development Goals (SDGs) is a concrete plan of action outlined in the Transforming our World: The 2030 Agenda for Sustainable Development results-oriented document adopted by the United Nations General Assembly in September 2015, consisting of 17 global goals and 169 targets related to sustainable development. The LIXIL Group reflects the SDGs approach in its corporate responsibility strategy and uses the goals as a broad guideline when forming management decisions.